Often times I can't help but compare myself to explorers that trekked across the mountains and valleys of America hundreds of years ago. But somehow, it seems that riding a motorcycle down paved roads is easier, safer, and more comfortable than the way men discovered these lands originally. Yet, I still feel inspired at the sight of vast landscapes across the American frontier, just as they might have. I still become swallowed up into the fabric of flora, fauna as one of Earth's meager inhabitants. I think of Meriwether Lewis, documenting what he saw into his journals, and can't help but to see myself in the same way, as I write this blog. But when I read the Journals of Lewis and Clark, I shake my head in wonder at how brave those men were. Even though I experience the same wonder of discovering new lands and new people, somehow what I'm doing feels a lot more easy. Am I truly just a product of society? How much of myself is natural instinct, versus external influences, versus the DNA of my ancestry? I watch this little girl named "Sophia", barely a year and a half old, reach for my smartphone and tap the buttons on its screen. She only did so because the other adults in the living room were busy tapping the buttons on their smartphones too. As a little toddler, nature instilled her with the need to emulate adults. But instead of emulating skills basic to survival, such as digging up roots, or gathering tinder, she was building neural pathways critical for surviving in a technological age. On the other hand, technological innovation is natural to human beings. It's our brains and hands that make us human, just like stealth and claws that make a cat, or flight and feathers that make a bird. And taking that into consideration, our brains can be influenced by other people, by our surroundings, and the current state of affairs we are in. It also feels natural to me to open up my laptop, upload photos from my camera, and write a blog post. It feels so much a part of my nature to share it on Facebook, Twitter, and Google Plus. But things like a computer, camera, and the Internet, are just tools we created to help us live in this day and age. They're really no different than the arrowheads, baskets, and flint rocks that people relied on in a more distant day and age. I often hear that people today could never survive in the wilderness the way mountain men and explorers did centuries ago. I suppose that's true in that I didn't grow up with up the skills needed to survive in the wild. But that doesn't make me less of a survivor. Our brains were not meant to remain as hunter-gatherers. It wants to take on tougher problems. That's why human beings built civilizations, engines, and computers. That's why laws get more complicated and why the red tape in Washington DC continues to roll. I think it's also why we have the current political system in the United States. All of these things usher in newer problems and variables for our brains to feast. I like to think that Lewis and Clark wouldn't know what to do with a Bluetooth headset, Google Maps, or online banking. Yet strangely, I find myself attracted to the beauty of a desert landscape or mountain range. I still love the quiet of a starry night. There will always be bit of Lewis and Clark in me, even though I don't have skills to deal with the outdoors. We definitely use the tools we have to survive in our environment. 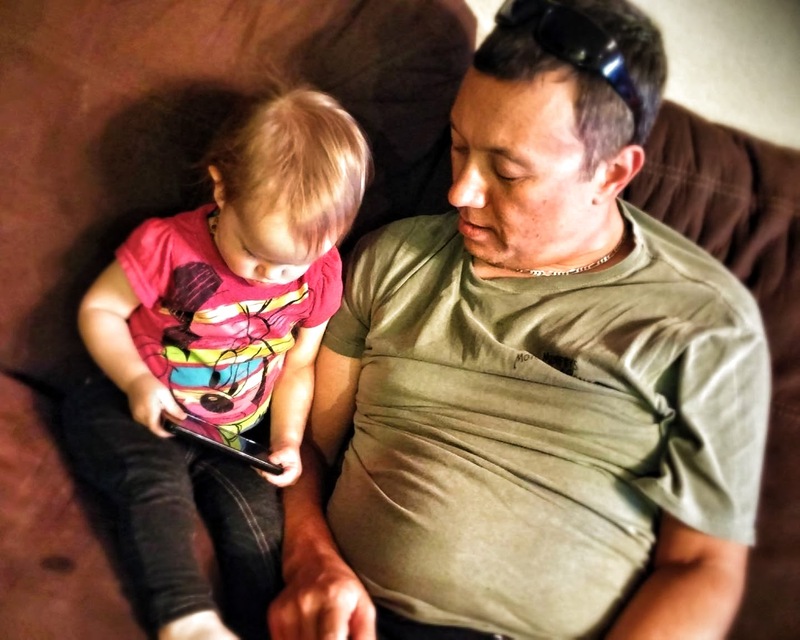 Whether we grew up with no cell phones and no computer and learned those skills as adults, or like Sophia, who will grow up immersed in technology. I think we could all survive in the land of Lewis and Clark, but at our age our learning curve would definitely be larger. Nice post, lots to think about. BTW I am also a Lewis and Clark fan. Allow me to recommend the book "The Character of Meriwether Lewis Completely Metamorphosed in the American West" by Clay Jenkins. It is a short paperback you can find used for one cent on Amazon. The best book on Meriwether Lewis I have read. Man by his very nature was meant to explore. It's sad that so many today have lost touch with that part of themselves. Every time I ride or am out in the vastness of the world, I am in awe of all that surrounds me. Life is good when we're not afraid to live...and explore the world around us. Great piece, Steve.